Finally, the Police Service Commission (PSC) is set to wield the axe that will see the pruning of the rank of the Nigeria Police Force. The category of officers to be affected by the impending demotion are those whose promotions were regarded as “lopsided” or “unmeritorious”. The session also approved the promotion of deserving officers, who were earlier denied promotion. 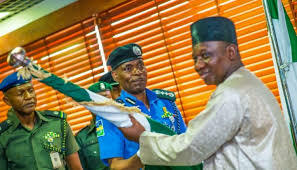 Alhaji Musiliu Smith, PSC Chairman and retired Inspector-General of Police (IGP), who chaired the session, had on assumption of office in July 2018 allegedly been confronted with myriad of petitions from aggrieved police officers over the issue of promotion. Daily Independent had exclusively reported in August and September, 2018 that Smith then vowed not to sweep the petitions under the carpet. To lend credence to the planned demotion exercise, Smith reportedly viewed the weight of the petitions and decided not to treat them with levity. He subsequently appointed retired Supreme Court Justice, Clara Ogunbiyi, to head a committee responsible for the review of the “lopsided” promotions. “The committee was mandated to review all promotions from 2016 to July 2018,” it added. 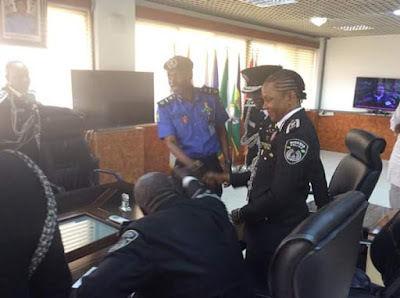 The former IGP’s insistence that the demotion shall be carried out to redeem the battered image of the police and to ensure equity, is said to have pitched him against the immediate past IGP Idris.